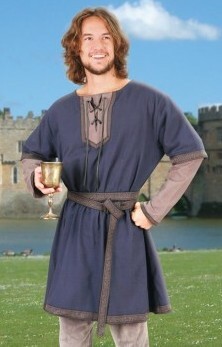 This Medieval tunic is based on tunics typically worn by Norman men in the 11th Century. It is designed to look like a layered garment, but with the comfort of a single shirt! 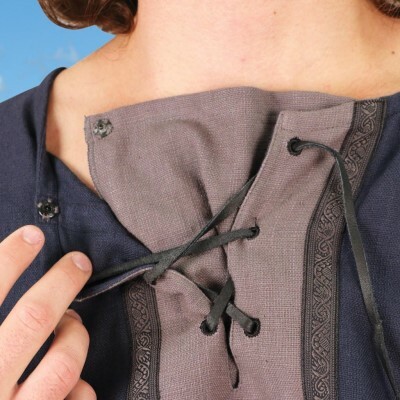 The lace-up neck has a hidden snap closure that completes the illusion of a shirt underneath a tunic. Matching period trim and the included matching double-wrap belt complete this great costume piece! Blue and grey "homespun" cotton twill, in sizes S/M, L/XL and XXL.